Children’s books about Special Needs is an excellent way to encourage child to be inclusive, empathetic, understanding and welcoming when they meet other children who are different to them. 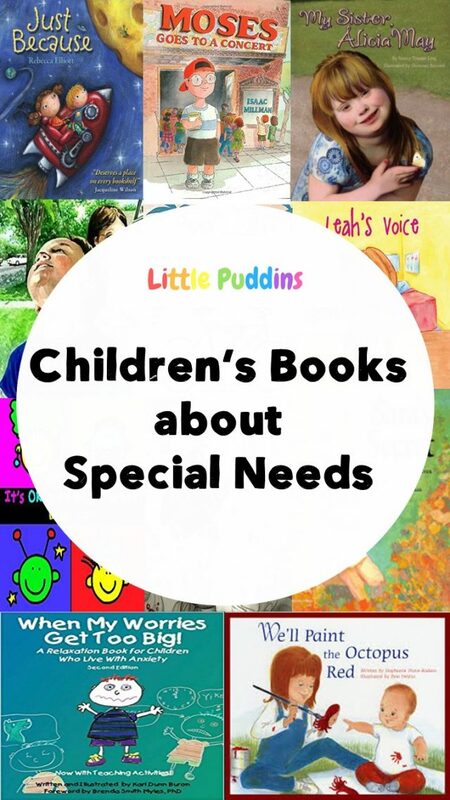 If you are looking for a list of some excellent children’s books about special needs, you may find the titles you are looking for here. What do I mean by Special Needs? What qualifies as having Special Needs for the purposes of this post? In my opinion and solely for the purposes of this post it would include any person having difficulties living their lives with the same level of ease as a similar individual their own age. Individuals who struggle physically, mentally, emotionally, to such a degree it limits their movements, senses and activities in their daily lives. In our house, a large section of our shelves are taken up with books. Books are a window into a different world. Each of my children (even Max (1)) have their own “special books” whether it is Diary of a Wimpy Kid (Hailey’s choice), Old Mac Donald (Conor’s favorite), Diggers (who else but Jack) and Peppa Pig (I am looking at you Max), they have their own favorites that they love to pull from the shelves and where possible read themselves or with our help. Having children with Special Needs in our family makes me more alert to the fact that “they” need to represented in their texts of choice. 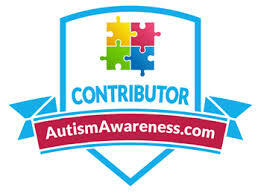 Below you will find a list of books which focus on characters who happen to have Special Needs. I would love to hear your recommendations so please comment with any you may have. Thank you. 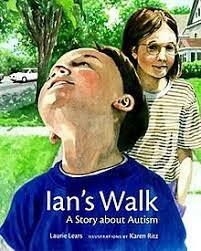 Ian is nonverbal and is the younger brother of Tara. Tara is struggling with her feelings about her brother having a severe disability. She takes him on a walk and when he begins to stare at a ceiling fan in one store and later puts his nose up against the bricks of a post office she becomes embarrassed. Later he lies on the ground with his ear to the pavement. She is battling her feelings of embarrassment and resentment towards her brother until he goes missing. When she eventually finds her younger brother she finds she has a new perspective on the way she sees her little brother. This story is based on the real-life friendship of two close friends of the Author who are called Rachel and Alicia. The story is told from the point of view of Rachel, who has a younger sister: Alicia May. 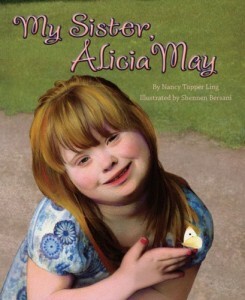 Alicia May has Down Syndrome. We learn through Rachel that her little sister is just like most kids her age, she likes having her toenails painted, she loves animals like dogs and horses, studies bugs. We also learn that Alicia May is easily led and will do what other kids tell her to do, that she doesn’t always understand what is really going on, like when kids tease her at the bus stop. This bothers Rachel, a-lot. She loves her sister so much and she stands up for her when others are teasing her. She realizes that Alicia has so many special qualities such as her ability to always say Hello, no matter what and her super sharp memory. As I have a son with moderate-severe disabilities this book really struck a cord with me, especially when I think of my oldest child, Hailey and how she may feel about having a brother on the moderate-severe end of Autism/Intellectual Disability. 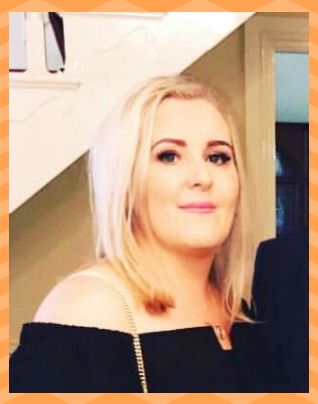 The main character Sara joins a new school and we learn that at her old school she had been bullied and made fun of her brother Sean who has severe disabilities. At her new school Sara struggles over telling her classmates about her brother Sean. One day her teacher starts a discussion about disabilities. Sara is deeply upset when she hears the way in which her classmates talk about children just like her brother, referring to them as “slobbery”. The class teacher asks the pupils to bring something to school that they feel would help a person with disabilities. Sara is torn over what to do and discusses it with her parents. In the end she realizes she is proud of her brother as despite all he has gone through he still loves to make her happy. She realizes he is very special to her and should not be kept a secret. This is an unusual book choice for me in that I am at odds with the parent’s feelings initially towards having a child with disabilities. Yet overall I do admire the premise that with encouragement, belief and patience a child can thrive with the love and support of his/her family. We learn of Emma who is 6 and is super excited that she will soon have a new baby brother or sister. She thinks about all the things they will do together, she thinks of a million things. One morning she is awoken by her father who has red eyes, he tells her she needs to know something about the baby. She learns she has a new baby brother called Issac who was born with Down Syndrome. She doesn’t really understand what this means and worries she and her new brother won’t be able to do any of the million things she had planned. Yet as she and her father talk she learns that as long as they are patient with Issac and help him when it is needed there wouldn’t be anything he couldn’t do. Special Needs Characters can encourage children to think more inclusively. 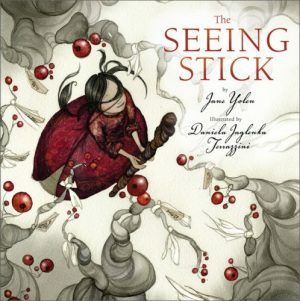 The Seeing Stick Author: Jane Yolen. This book has a fairy-tale like quality. It tells the story of the only daughter of Emperor in Peking who is born blind. Her father is devastated at Hwei Ming’s blindness and he promises to reward the person who can help his daughter see. Just Because Author: Rebecca Elliot. 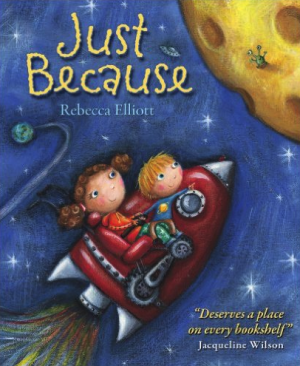 We love Rebecca Elliot books in our house. We have this book quite awhile and it is much loved and quiet dog eared actually! In this book a young boy describes all the things that his sister, who is strapped into a wheelchair really enjoys. He doesn’t see her disability as a reason or excuse for anything she likes, he loves her for who she is. He brings home this idea by using the phrase “just because”, repeatedly. The illustrations throughout this book are what really bring me as a parent back to this book time and time again, they are simply beautiful. 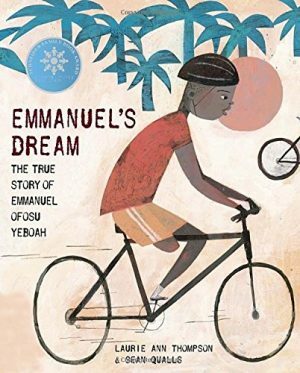 This tells the true story of Emmanuel who was born in Ghana with only one leg. At the time he was of school age most children with disabilities didn’t attend school, but Emanuel was ambitious and determined so every day he would hop to and from school, over two miles each way. When his mother died he decided to honour her dying words by proving “being disabled does not being unable”. He went on to complete an amazing 400 miles bicycling over ten days! completed the astounding feat of bicycling 400 miles in 10 days. A truly inspiring story. 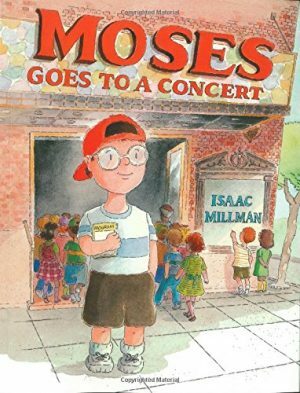 This book tells the story of Moses and his school friends who all happen to be deaf, they communicate through sign language, using visual signs and facial expressions. We learn that even though they cannot hear, they can use their others senses to enjoy lots of activities. Today Moses and his classmates are going to a concert, their Teacher Mr Samuels plans on making this concert extra special! You will have to read the book to find out what happens, it is an excellent read! 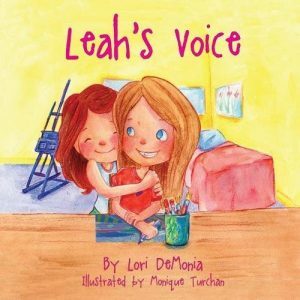 A super story about a little girl who learns that her sister sometimes has a hard time in social situations. 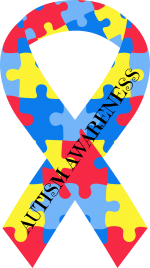 It touches on the difficulties children my encounter when they meet a child with autism or special needs. Siblings may find it hard to explain to their friends or feel disappointed when others aren’t understanding. This book tells the story of two sisters facing these challenges. Through her kindness and devotion, one sister teaches by example the importance of including everyone and showing acceptance. 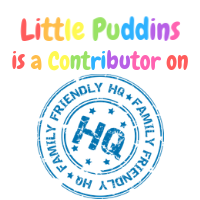 Inclusion and Acceptance are the primary themes of this super book. 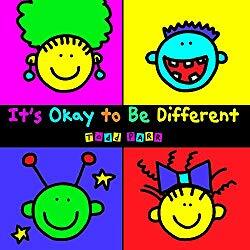 A classic story by Todd Parr that delivers the important messages of acceptance, understanding, and confidence in an accessible, child-friendly format. The book features the bold, bright colors and silly scenes that made Todd a premiere voice for emotional discussions in children’s literature. 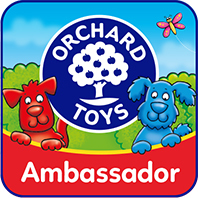 The book is aimed primarily at children who are learning to read. 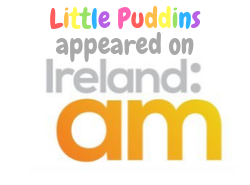 The book aims to encourage and inspire children to be inclusive and to celebrate diversity and individuality. It encourages children to have self-confidence and to accept themselves as others as individuals. 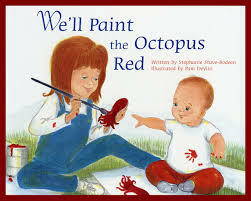 This is a book we read regularly at home with Jack. He struggles with anxiety on a day to day basis: we are proactively trying to help him as much as we can. It is a book is a book written to help children who are overburdened with worry and anxiety. And now with a special section on evidence-based teaching activities for parents and teachers, this best-selling children’s classic just became even better and more relevant. 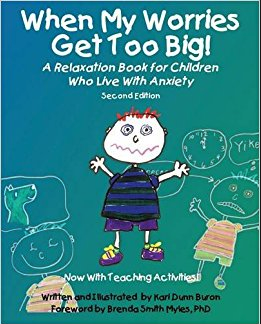 Engaging and easy-to-read, the beautifully illustrated pages are filled with opportunities for children who experience anxiety to participate in developing their own self-calming strategies. Children who use the simple strategies in this charming book, illustrated by the author, will find themselves relaxed and ready to focus on work or play. Foreword by Brenda Smith Myles, PhD.